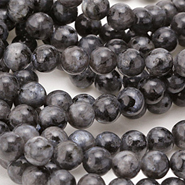 Our Labradorite beads are a gorgeous soft gray color and exhibit iridescent flashes of green and blue as they are moved around in the light. 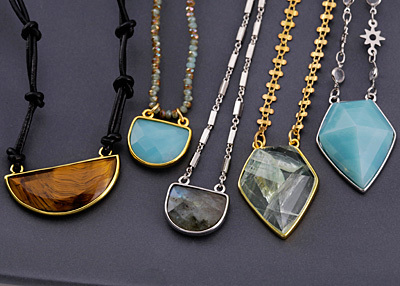 Labradorite has quickly become one of the most preferred beads of jewelry designers in recent years. When surrounded with the right supporting stones, it is simply stunning. 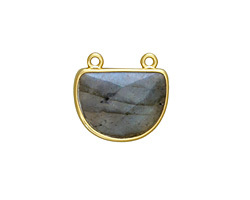 Labradorite is named for the peninsula of Labrador in Canada, where it was originally found. A member of the feldspar family, Labradorite is a beautiful gemstone that ranges in color from dark gray to gray-black with colorful iridescence or labradorescence. These lustrous metallic tints, known as schillers, are most often blue and green. 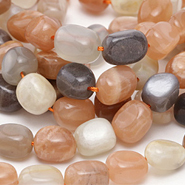 The schiller effect results from the lamellar (layered) structure of this feldspar – light enters the stone and is refracted back and forth between layers. 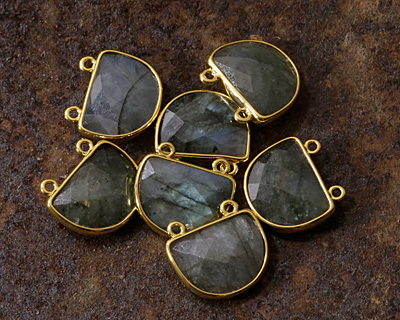 Labradorite is said to detoxify the body and slow the aging process.